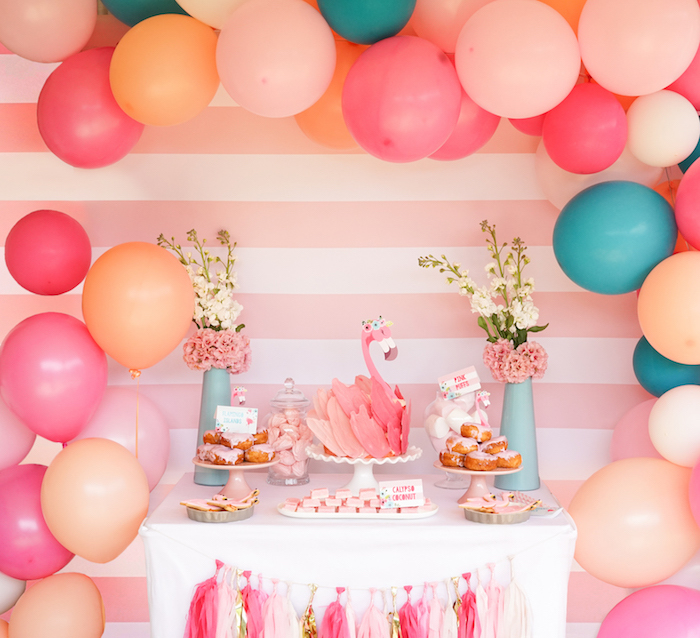 Flap your feathers and come on by, this Pink Flamingo Birthday Party by Louise Sanders of Sunshine Parties, out of Hillcrest, Durban, South Africa, will make you fly! 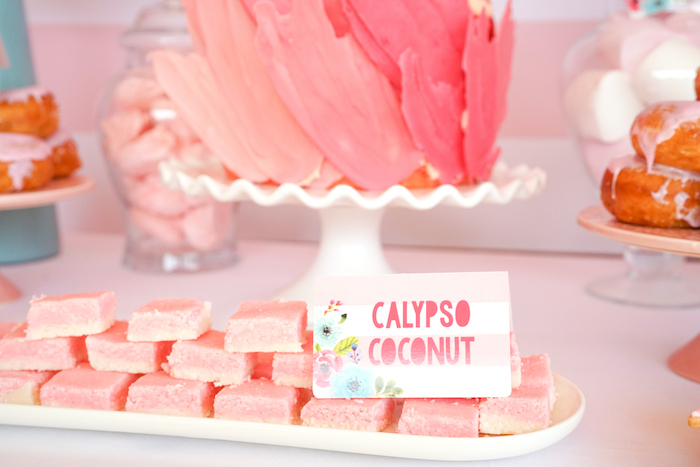 Featuring details so pink and delicious, this birthday party is anything, but fictitious! And adorable floral flamingo signage! 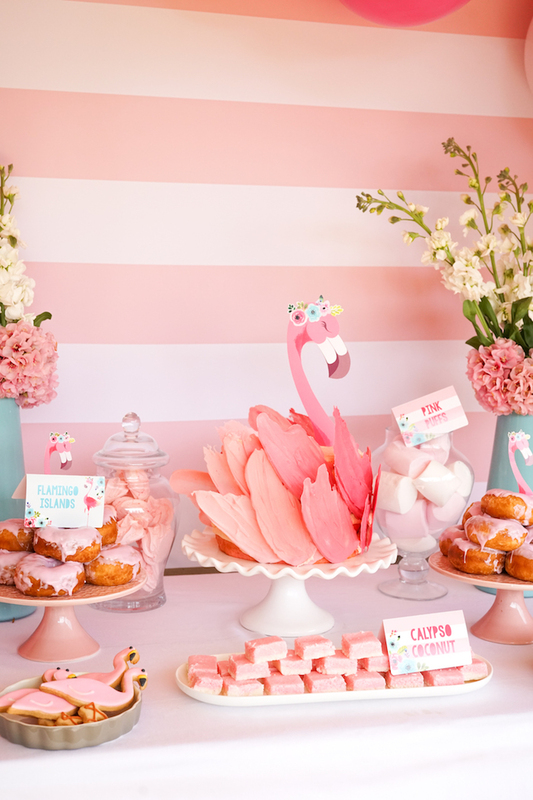 This is what Louise shared about the party- “Flamingos have totally gone from kitsch to cool. And why on earth not? They are trendy, they are pink, and they represent beauty, and standing out. 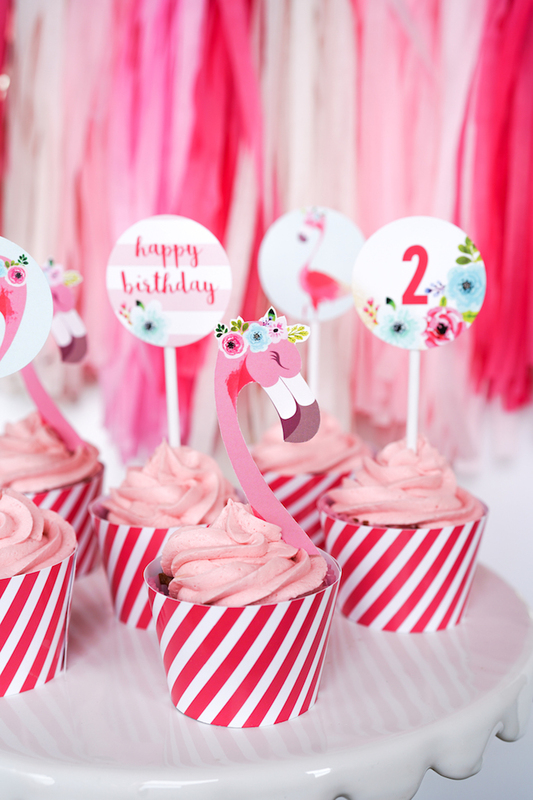 Which was a perfect theme to represent Caths fabulous little cutie, Hannah, as she celebrated turning two with a Flamingo birthday party! 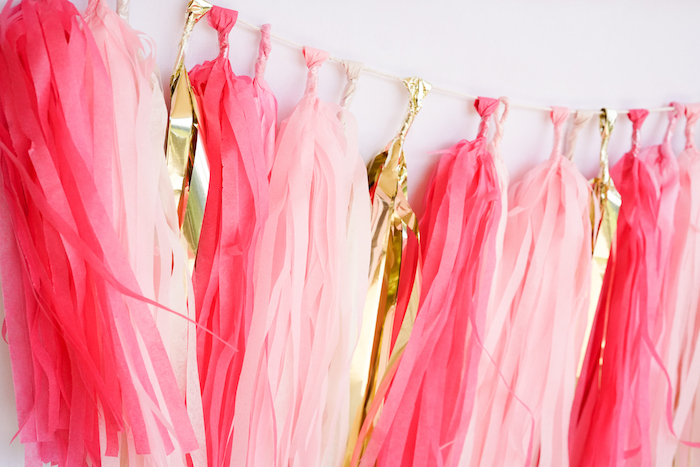 Cath and I had such fun designing, arranging and coming up with an array of Flamingo party decorations. 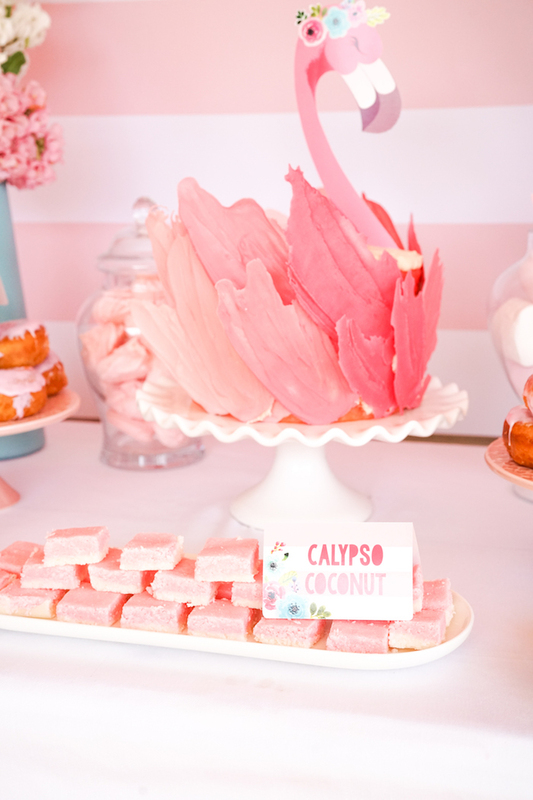 From a gorgeous backdrop and banner, to fabulous detail on the cupcakes, food and drinks and party favors. But the piece de resistance was the Flamingo Cake. My oh my, what a piece of inspiration, starting with Taryn getting an idea from her Pinterest Food Obsession through to Cath making it real, and of course, better than anything else we have seen! So, if this is a theme you would like to work with, come with me, Ill show what and how we did the Flamingo Party Flamenco! This is it! THE CAKE! 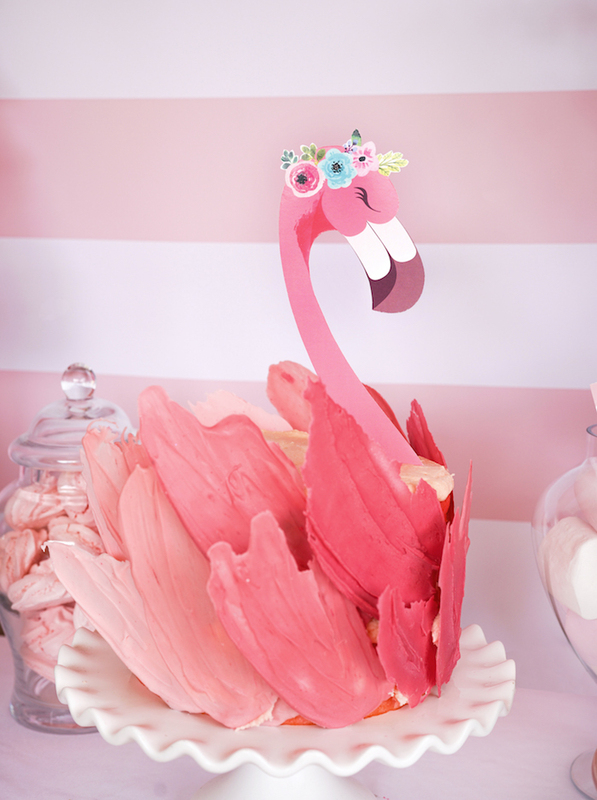 The gorgeous flamingo cake, the creation that caused ooohs and aaaahs from the assembled kids, and adults, of course. 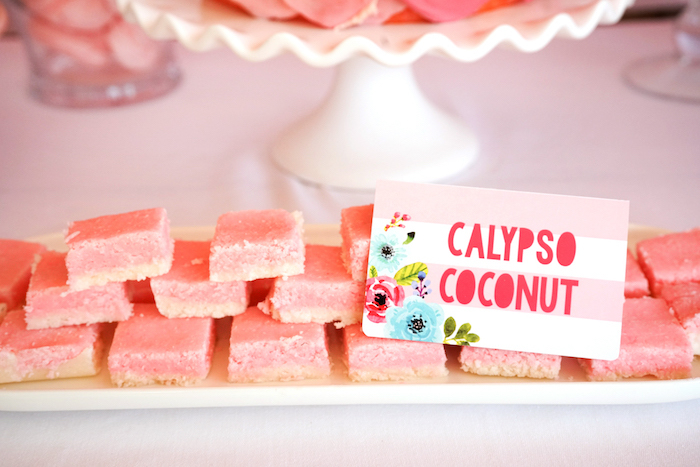 Not only does it look like an elegant flamingo just cruised across the party table, it tasted dreamy too! Cath started out with a naked ombre sponge, four layers, with buttercream icing in between each layer. Not realising that the chocolate shard feathers would cover most of the cake, she went to all the trouble of creating a pink ombre effect with the layers, from darker to lighter pink. So, for her sake, I am just letting you know that that sponge is pink ombre, baby! 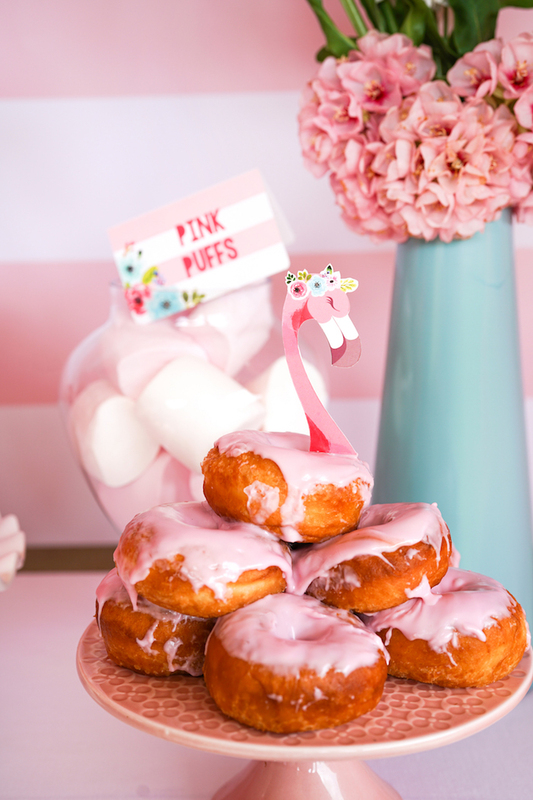 The flamingo cake topper is an absolute winner, you just download and cut out. We used a stiff, 400gsm card for printing, and a thin wooden stick and scotch tape to go up the neck and into the cake, to keep our flamingo standing proud and elegantly tall. Using a double boiler, Cath melted white chocolate. She created chocolate shards by smearing a shard of chocolate onto wax paper, and letting it dry. 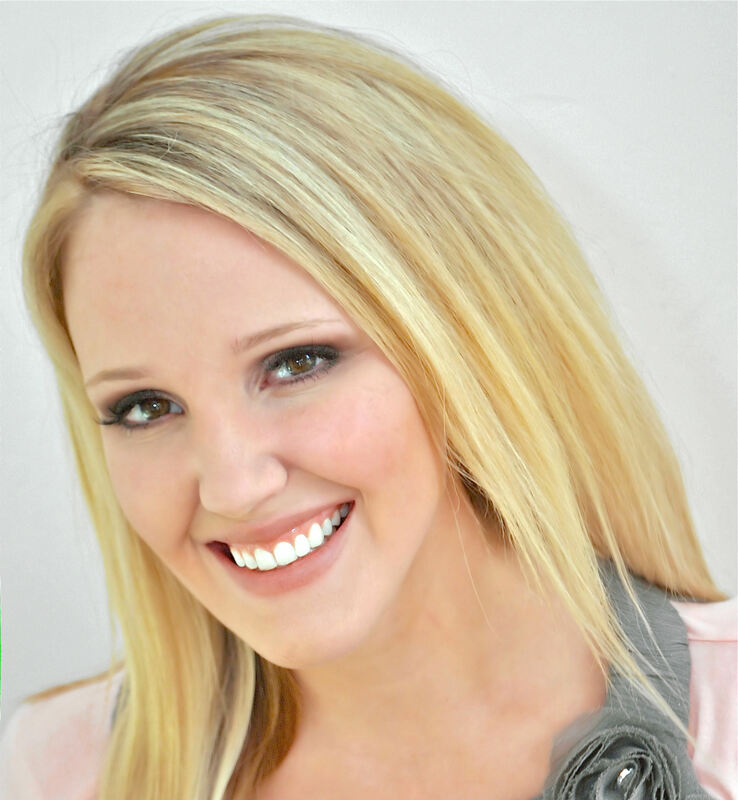 She created different sizes and colors to get the perfect flamingo feathers effect  going from deep to light pink front to back, and using longer and shorter shards to create the correct flamingo shape. You can also use the microwave for melting chocolate if you dont have a double boiler, works just as well. Just dont let chocolate get too hot and go lumpy or burn, rather take it slow and just do 10 seconds at a time until you have th perfect consistency. 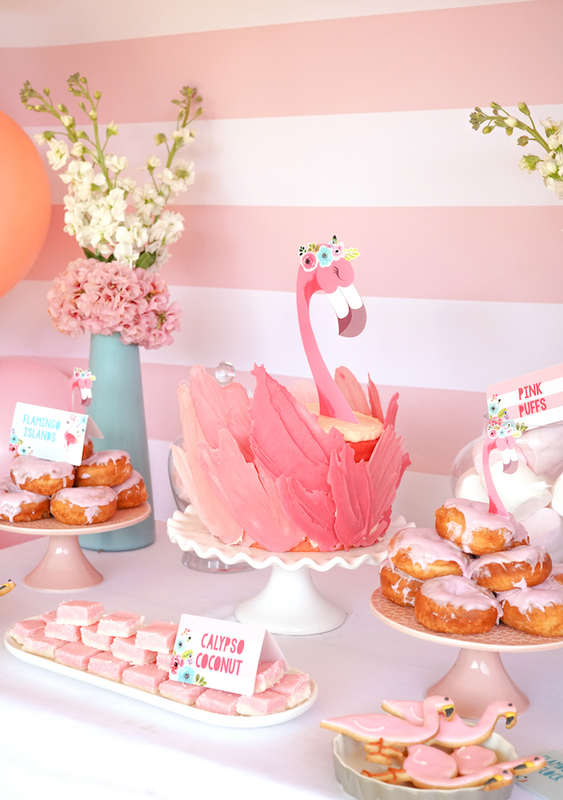 Make sure you use something pretty to put your flamingo on, a cake stand or pretty presentation platter makes all the difference! 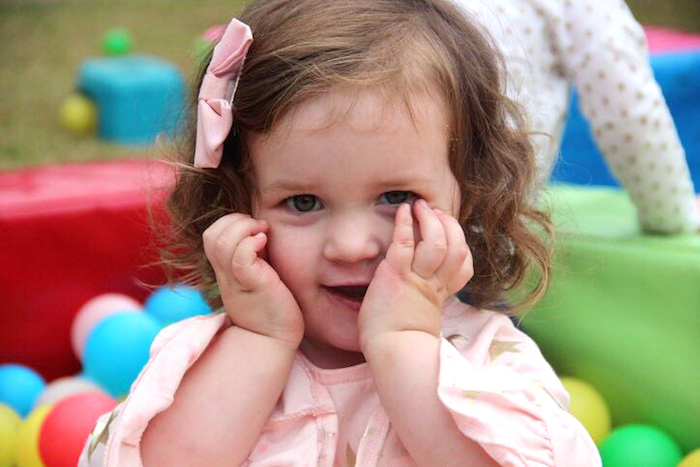 Hannahs little face when she saw her flamingo party cake! 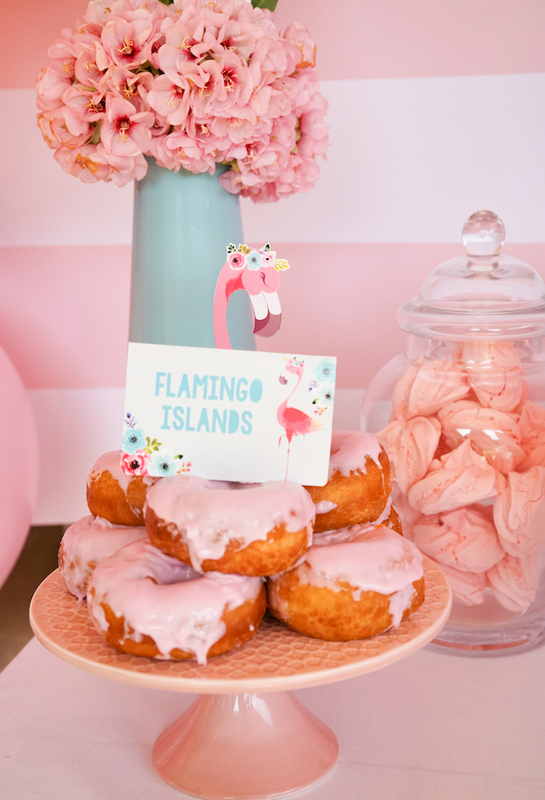 And while we are on all things cakey and delicious, these flamingo cupcakes were another winner. 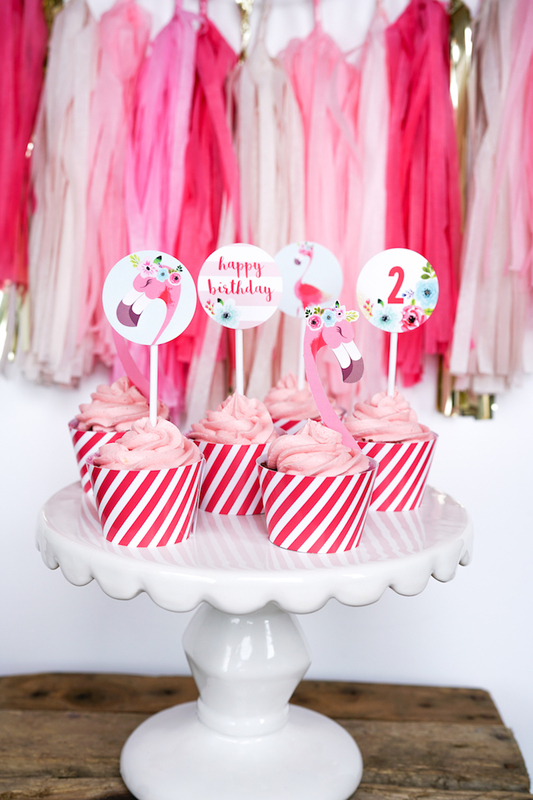 This cool cupcake look is achieved with our pink and white candy stripe wrapper, editable round cupcake toppers and a gorgeous version of the flamingo cake topper, but small, and cute and mini for cupcakes. Adorable! 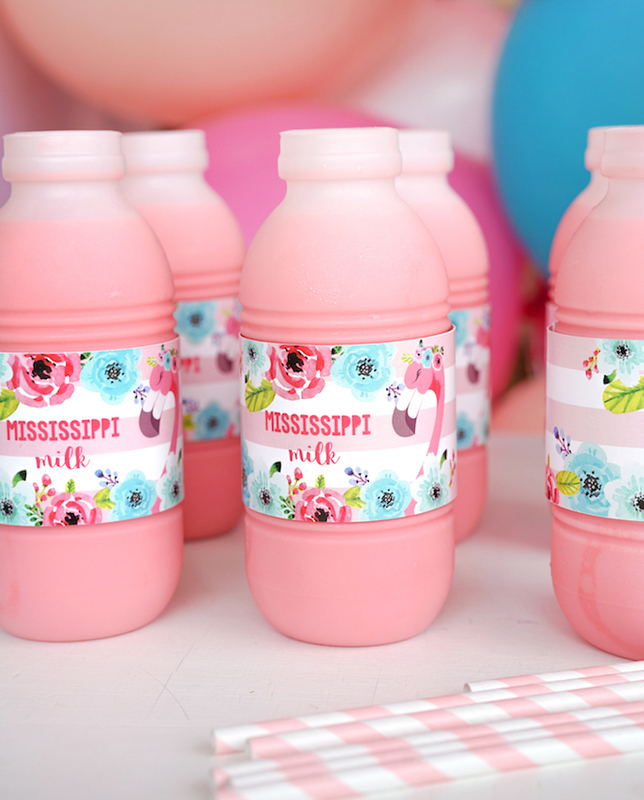 All this fabulousness is enough to make anyone thirsty  use these super pretty drinks labels and edit them with whatever you would like to serve  whether is it a water bottle or a wine bottle (thats for an adult party of course!). 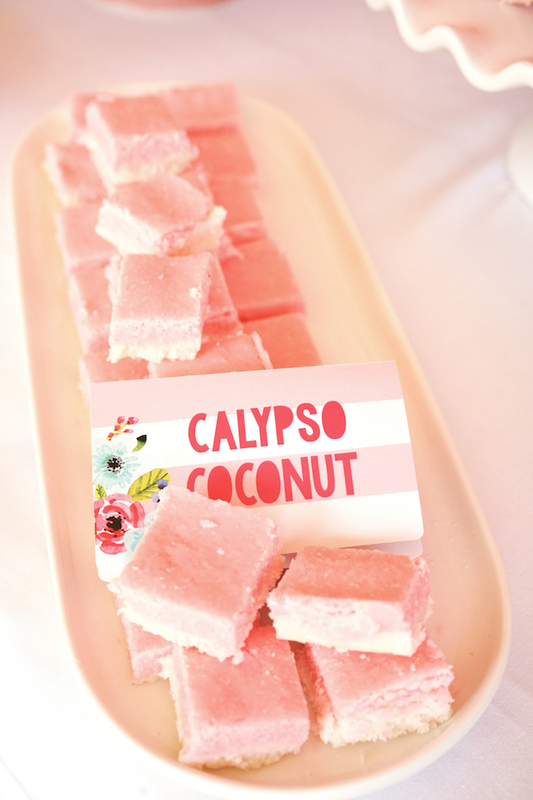 We chose to go all out with pink and white food, and labelled our coconut ice Calypso Coconut and Pink Puffs accordingly. 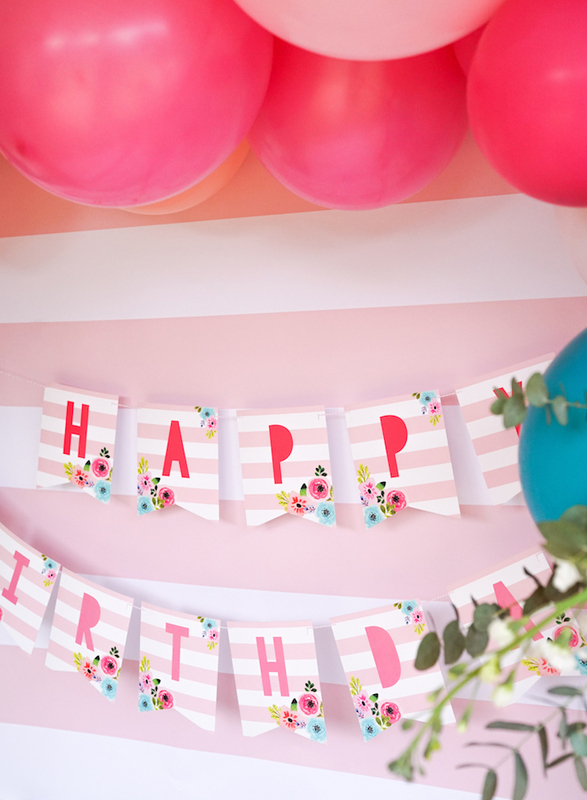 A party banner and backdrop always serve to just make the party décor, we think! 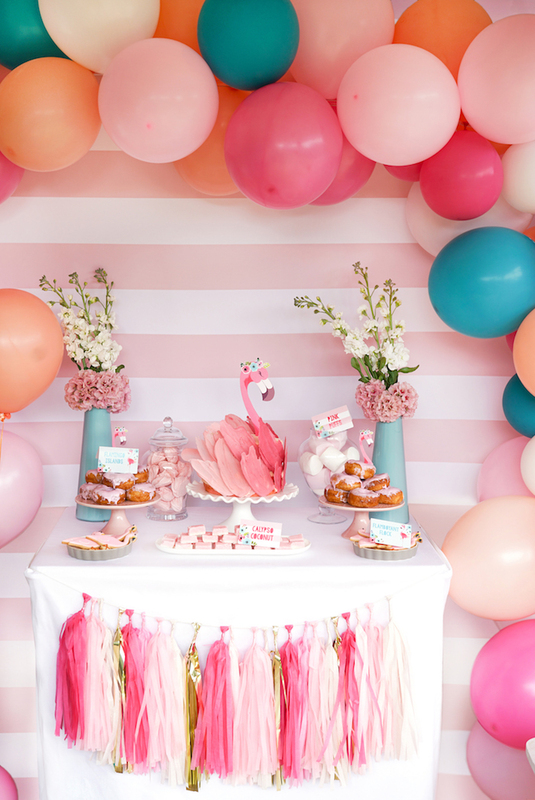 For this flamingo -theme party we created a gorgeous pink and white, broad candy stripe backdrop for your main party, or dessert table. So pretty! 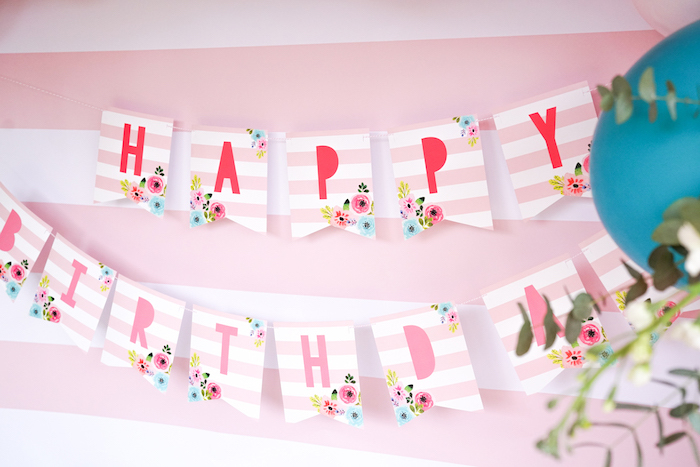 Especially when offset by this matching banner, bringing our flamingo flowers into the banner design. The banner is downloadable, and editable, so you can have it read whatever you want, for as many panels as you want! 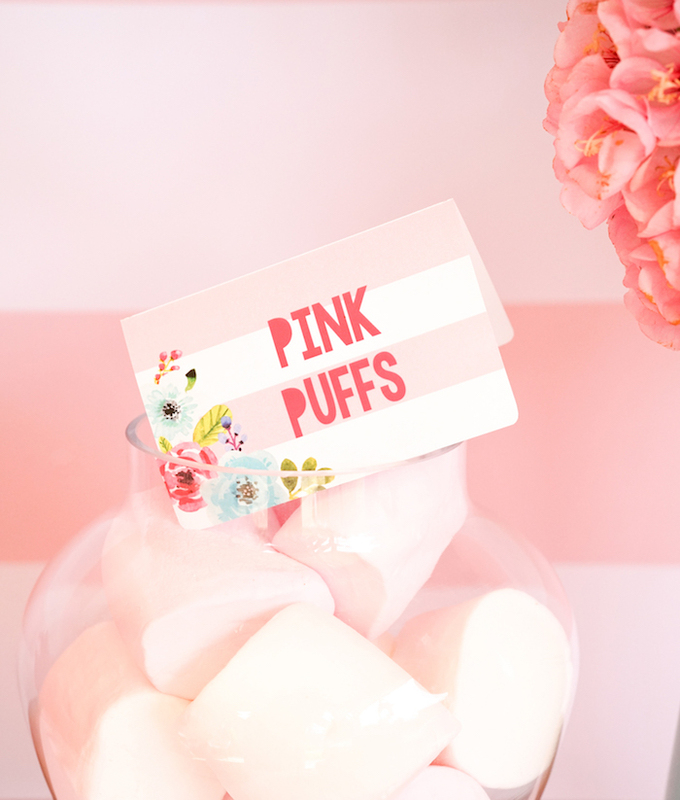 We decided long ago that party favors do NOT always have to be sweets! Theyve already gobbled up the cake anyway! 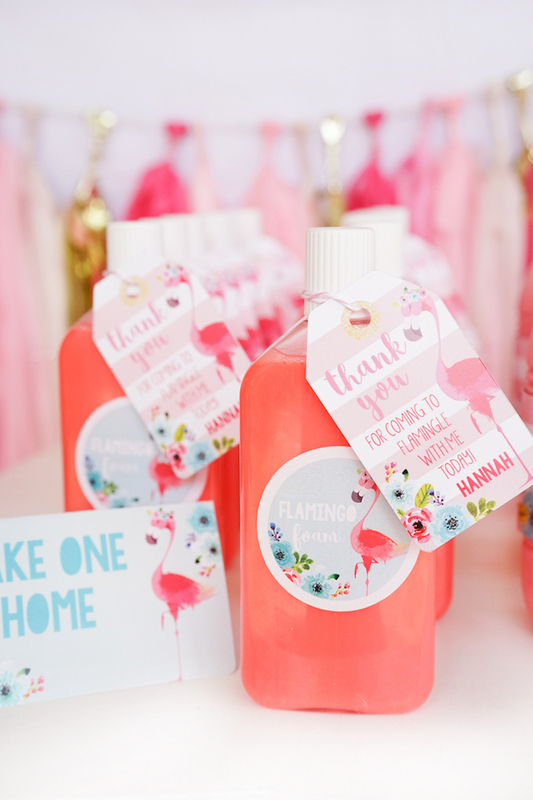 Some plastic bottles, and some pretty pink bubble bath make a delightful (and fairly cost-effective) flamingo party favor. A custom Flamingo Thank-You Tag with editable message AND a cool round sticker option make this printable full of value! And how did it all start? With this absolutely beautiful flamingo party invitation. 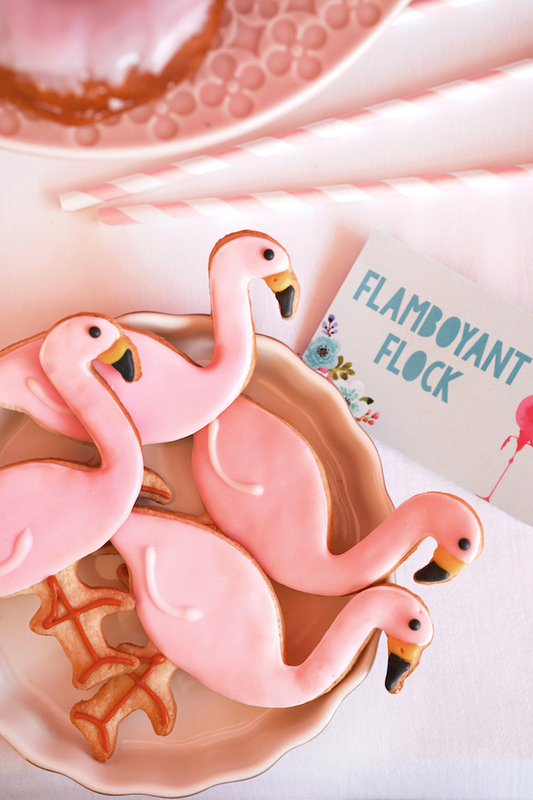 Fully editable, an instant download and the flamingle is all yours!